This guy probably lost his account for violating the TOS. DON'T DO IT. You will lose your account permanently if you get caught. This just happened to me today. I didn't do it. 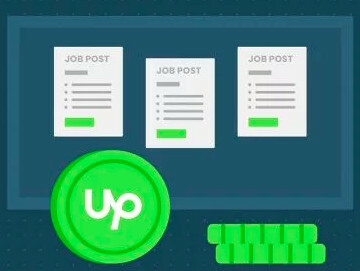 First of all you report these scammers to Upwork (that is, if you don't want your own accounts suspended) and then you take a little time (no matter how qualified you are) to read everything there is to know about the site. 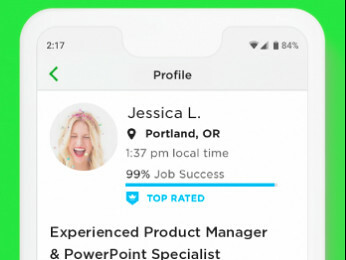 IMO Upwork does not do enough to zap the i****s who are too needy or greedy to recognize the danger signals and who are "tempted" to fall for fraudulent deals. Could you please click on my name and send me a private message with more information, screenshots of communication or links, and I'll share those with our team for further investigation. Thank you. Just happend to me too. Some russian guy from Canada as he says. It smells like SCAM from a block away. And almost always scammers start with messages like "You will do a one time - one day job and earn money every month". I would advice following up with Valeria on this. Just I want to say that people have been selling FaceBook accounts as high as 500USD online. Of course that is nonsense, because those accounts would not live a long time either. But, that being said, there are a lot of scams around. Asking for a Skipe call is one of the indicators pointing towards that. If they do, challenge them. If they are serious, they will come back, if not, then jjust forget it and report accordingly. I have seen here not only skipe requsters, but recently one asked for copies of ID¨s at the time of interview. That is completely no-no. My advice for freelancers, do not be afraid to say no. Most likely that is the best option. If not, they will come back and then you can fix. Anyway, for a successful freelancing or any business, one of the key skills to learn is to say "no". I had exactly same experience. Skype interview - use of Upwork account and blah blah blah. Asking for a Skipe call is one of the indicators pointing towards that. Asking for a Skype call is not indicative of a scam. 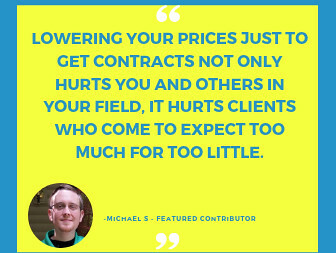 If anything, it's a prudent way to screen clients *before* the contract is opened. Personally, I would never do business with any party I have not spoken to. Should I be so unlucky as to encounter a scammer, I'd much rather find out before a contract is opened and getting embroiled in an account suspension nightmare, even if the suspension was only temporary and my account is cleared during the Upwork investigation. Scammers permeate the Internet and have since the heydays of AOL and Yahoo. Before that, it was multi-level marketing spread through classified ads in the back of magazines. Before that, it was leaflets advertising snake oil and tonics posted outside the local saloon. Before that, shysters were shaving slivers off their gold coins and smelting them back together. Scammers have always been around. They're always going to be around. The medium of communication is irrelevant. This just happened to me as well. 5/31/18. I was on Freelancer.com and was asked to go to skype. Thought that we were going to discuss the job I was bidding for, however, this person started messaging me about buying and using my upwork account and then paying me etc. Unreal.